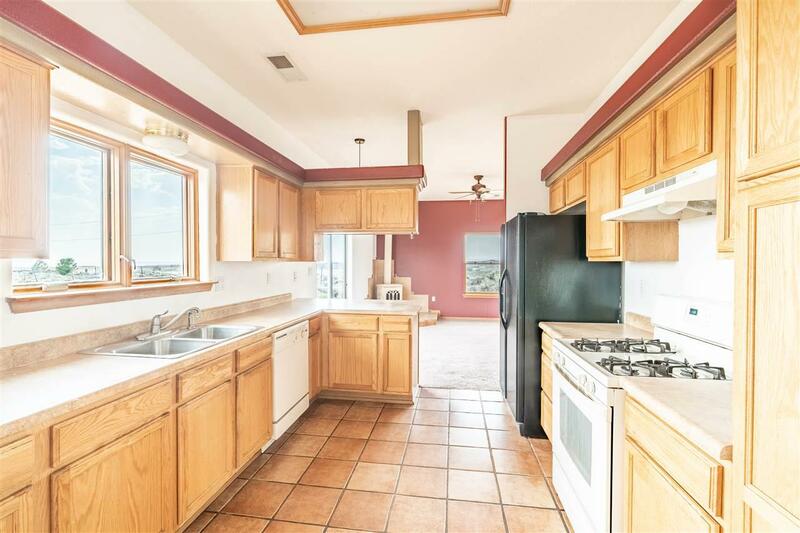 Conveniently located on Blueberry Hill, this quiet Fiesta Subdivision, allows easy access to Taos Plaza, Arroyo Seco, Hiking, Biking, Fishing and the Taos Ski Valley. 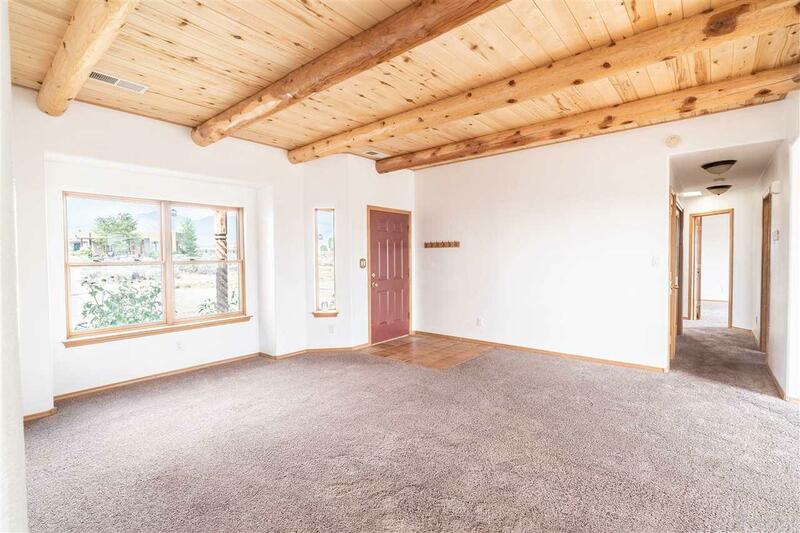 Full of light, this home comes with a large open and spacious floor plan, complete with panoramic views of Taos and the surrounding mountains. The main entrance unfolds beneath a traditional vigas ceiling, opening up to a contemporary kitchen-dining area and family living room, comforted by the gas stove. The master bedroom-bath and additional bedrooms and bath, provide ample comfort for you and the whole family. 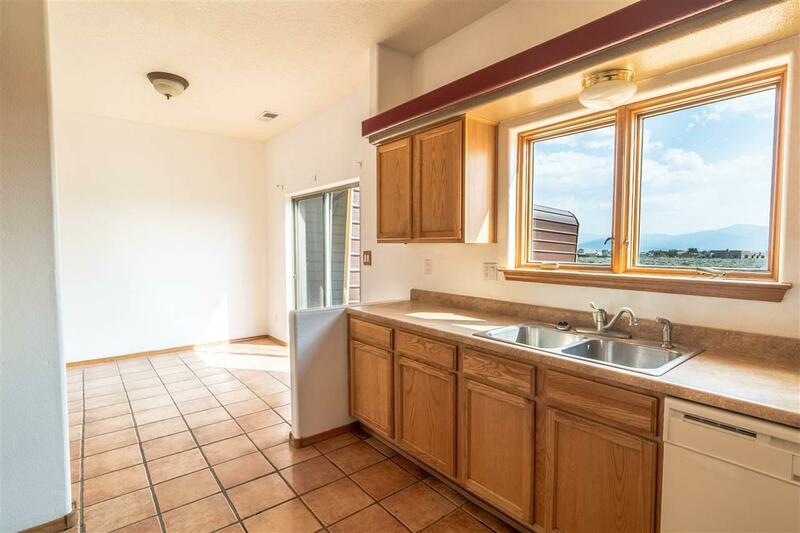 An abundance of windows provides complete access to amazing mountain views, enchanting sage covered plains and priceless sunsets. 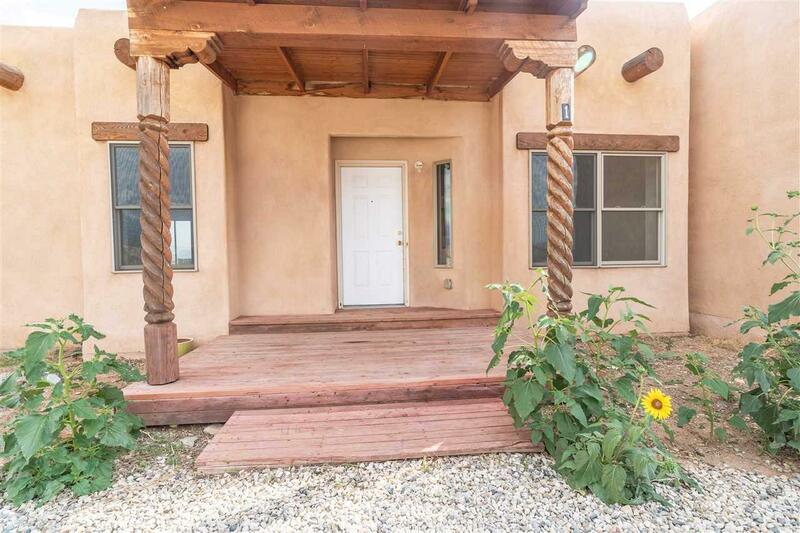 Bring a little TLC and a green thumb and find yourself uncovering untapped possibilities under Taos starlit skies and quiet nights.